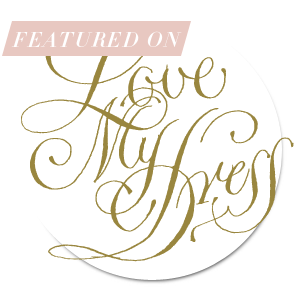 Founded in 2009 Love My Dress is an on-line world of wedding planning inspiration that embraces glamour and elegance and encourages sophistication and style, whilst remaining true to the love story behind every wedding. They have an incredible following with nearly 340,000 Facebook followers. There is an amazing article they were kind enough to put together which you can read by clicking here. Its a great privilege to be recognised and approved by the UK leading wedding blog and I am looking forward to sharing with the articles and weddings featured in the future.